We live in a world that bombards us daily with pain and misery. However, in this song by Jeremy Camp, we learn that we have one who understand our pain and is there to help us through it. The life we live is full of pain. Everywhere we look we see nothing but fear and death. There seems to be no hope to be found anywhere. In man, no light could ever be found. Let us thank God for bringing His light to us in the form of Jesus Christ. In Jesus, we find joy and peace in place of fear and death. 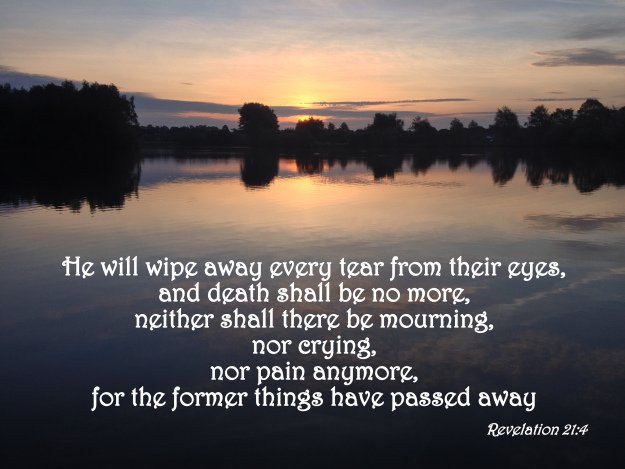 In Christ all the tears that we received from this world will be wiped away. In their place will be tears of joy because He came to live in us. Let us come to the Light and bathe ourselves in its radiance. May it wipe the stains of our pain forever and full us up with hope.